As the debate over a European Monetary Fund continues, this column argues that Germany’s enthusiasm for the new fund lies in its desire to impose fiscal discipline on countries it didn’t want in the Eurozone in the first place. The EU is not Germany and despite its dysfunctional diversity, the avoidance of a currency crisis in Greece shows that it works. 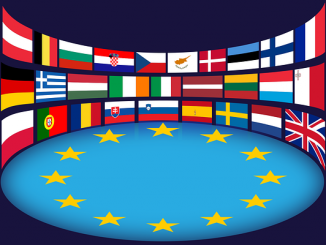 European integration has been a unique process from the start. European agreements – both large and small – have traditionally been built on ambiguity. Resolving these uncertainties ex ante has been deemed politically impossible, but all the parties believed that they would be resolved ex post in good faith. And that faith has been confirmed many times over the EU’s six decades. The famed “ever closer union” objective sits uncomfortably between a Europe of Nations and a Federal Europe. The monetary union among independent states was always seen as a bold undertaking that papered over many cracks. The Greek debt crisis is bringing to the fore many of these deeply buried issues. But they cannot and will not be solved. Ambiguity will once again prevail, with the risk that panicky governments settle for mistaken gimmicks. The German-French row reminds us of our cultural differences. Germany, a Federal state, sees Europe as evolving towards some United States of Europe. Some smaller countries agree. France, a staunchly centralised country, wants none of it, and is supported by Britain, Poland and many others. When Germany accepted to give up its cherished deutschmark, it required that the Maastricht Treaty refer to an Economic and Political Union. But France saw to it that there would be no political extension of what it regarded as a too powerful central bank (see Buti et al 2010). France’s repeated calls for an economic government of Europe is nothing more than an attempt at establishing a counterweight to the ECB, but certainly not as a challenge to its own sovereignty in economic matters, including fiscal and industrial policies. Both countries want to do something about Greece, largely because both mistrust financial markets. Germany’s own enthusiasm for a European Monetary Fund is a desperate effort to impose fiscal discipline on countries that it never wanted to have in the Eurozone in the first place. After all, the famous Maastricht criteria where set up exactly to keep out profligate nations like Greece, but in the end, the criteria were not applied strictly for the first members. But imposing fiscal discipline on others will not work. This is not how lending-in-last resort works – such support only comes into play when it is too late to avert a crisis. In addition, an EMF would be a dubiously legal way of circumventing the Treaty’s no-bailout clause, the German government’s current headache along with it own public’s understandable opposition to bailouts. France wants to support Greece because it knows that its own finances are shaky. Erecting barriers in the case of Greece (as well as for Portugal and other countries) is a sure way of protecting itself. These are bad motivations, tied to immediate concerns, not to a properly reasoned view of the problems that are being uncovered after having been ignored for too long. The monetary union was created, first and foremost, to avoid currency crises within the Single Market (see Berglof et al, 2003 for an analysis of the design issues). Mission achieved with flying colours as the Greek example amply demonstrates. It was always understood to be a delicate undertaking because historical precedents have involved political unification before monetary unification. The fear was precisely that national fiscal discipline creates trouble, pretty much as unruly provincial governments tore apart Argentina’s currency board in 2001. The answer has always been that, should this happen, governments would have to deal with the consequences of their own profligacy. The Germans indeed insisted on the no-bailout-clause and on the Stability Pact, the former to instil fear and the second as a preventive measure. The Stability Pact never worked but fear is palpable, except that it seems to affect the virtuous governments as much as the undisciplined ones. It is difficult to fathom why Germany is willing to compromise the integrity of the no-bailout clause, the only sole instrument available to promote fiscal discipline. There may be domestic motivations, including banks with exposure to Greek debt. There may be a sincere conviction that one or more defaults would hurt the euro and thus create inflationary pressure. But there seems to be the hope of imposing the German tradition of dealing with problems the hard way. Germany’s own success in cutting its deficits before the crisis and its collective effort at recovering competitiveness after having joined the Eurozone with an overvalued exchange rates are amazing feats. But they are not exportable. Many other countries, especially along those that lie around the Mediterranean, are too ideologically divided and too willing to cut corners to successfully adopt the German tradition of self-imposed discipline. So we are back to our old cultural divisions. We have to learn to live together and accept our respective limits. No one should ask Germany to bankroll underperforming countries and Germany should not attempt to export its culture of collective discipline. Europe is a patchwork of diverse people who have achieved a degree of integration unmatched in the world. By and large, it works. When, from time to time it does not, we have to live with the dysfunctional implications – in this case the risk of public debt defaults – of our cultural differences. Eventually, possibly as a consequence of crises, we will converge. Erik Berglof, Barry Eichengreen, Gérard Roland, Guido Tabellini, and Charles Wyplosz (2003), Built to Last: A Political Architecture for Europe, Monitoring European Integration 12, CEPR, London. Charles Wyplosz is Professor of International Economics at the Graduate Institute, Geneva; where he is Director of the International Centre for Money and Banking Studies. Previously, he has served as Associate Dean for Research and Development at INSEAD and Director of the PhD program in Economics at the Ecole des Hautes Etudes en Science Sociales in Paris. He has also been Director of the International Macroeconomics Program at CEPR. His main research areas include financial crises, European monetary integration, fiscal policy, economic transition and current regional integration in various parts of the world. He is the co-author of a leading textbook on Macroeconomics and on European economic integration. He was a founding Managing Editor of the review Economic Policy. He serves on several boards of professional reviews and European research centres. Currently a member of the Group of Independent Economic Advisors to the President of the European Commission, and of the Panel of Experts of the European Parliament’s Economic and Monetary Affairs Committee, as well as a member of the “Bellagio Group”, Charles Wyplosz is an occasional consultant to the European Commission, the IMF, the World Bank, the United Nations, the Asian Development Bank, and the Inter-American Development Bank. He has been a member of the “Conseil d’Analyse Economique” which reports to the Prime Minister of France, of the French Finance Minister’s “Commission des Comptes de la Nation” and has advised the governments of the Russian Federation and of Cyprus. He holds degrees in Engineering and Statistics from Paris and a PhD in Economics from Harvard University. I oppose the view. As for Poland the Kaczynski brothers, the ultra-conservative Catholic groups some of the extremely uneducated social strata and the Polish American Congress may support the idea whereas Mr Tusk and his peers – the new generation of the nation – do not at all. And the latter enjoys the broad and firm support from the Polish society today. The differnce from their German counterparts are that they are not as radical towards the United States of Europe and that they are not as corporative but rather Austrian-School-style libertarian (and quite moderately so). Odd that Germany is against bailouts. They took American bailouts multiple times, including last year for their reckless gambling debts in the derivatives markets. The US taxpayer sent $20+ billion that way. And some of it went to state-owned enterprises, like KfW which gave Lehman brothers $300 million an hour before collapse. So, it’s understandable that Germans don’t like bailouts. but apparently, they don’t mind hypocrites. From each according to their ability. To each according to their need. The beggars in this case are Greece, Italy, Ireland, Spain, France. They need long weekends for singing and dancing. Only the Germans have the ability to work and pay the piper. I am certain they will agree to pay for the party. It is not ants and grasshoppers but just macroeconomic imbalances that caused this situation. The exchange rates between the euro and the old currencies were set wrong and thus Germany accumulated its current account surplus and Greece deficit. Yes, the southern europeans are paid more than they are worth. The exchange rate could have caused initiated this in the beginning. Merkel is correct. Greece is not getting free cash from the hard working Germans. The PIIGS can solve the problem any time they choose to take wage and benefit cuts. Either that or sing and dance less. Socialism works until you run out of other people’s money. PIIGS are there. If only the lazy Germans would stop taking from hard working Americans, then everything would be in balance.